On today’s show we take your questions on gifts that aren’t great for kids, being called out on body language at the table, thank yous for recommendations, condolence cards between family members and how to handle brunch after a wedding when no one’s hosting. Plus feedback, an etiquette salute and a postscript segment on announcing engagements. 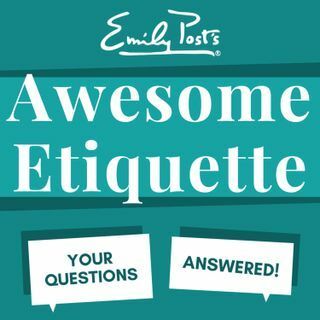 The Awesome Etiquette sustaining members extra question of the week is about elevator pitches and getting yours right.